Despite its proximity to the epicenter of last year’s earthquakes in Italy (Perugia suffered no significant damage) and some bad publicity after the Amanda Knox trial, Perugia remains one of the country’s most vibrant and underrated destinations. This is due, in no small part, to the energy of the early 14th-century University of Perugia, one of the oldest universities in Italy. Perugia may remain in the shadow of many cities in neighboring Tuscany, but new bars, cafes and boutiques flourish in this Umbrian city, which does an excellent job of showcasing its ancient foundations in the historic center. Those foundations encompass Etruscan, medieval, Gothic and 18th-century treasures along wide, sun-kissed roads that lead to pretty, off-the-beaten-track neighborhoods. Perugia may become packed during events like Umbria Jazz and the annual chocolate festival, but, for the most part, remains untouristy and authentic. To call Giuditta Brozzetti a textile workshop would be an understatement. Its location, in the high-arched church of San Francesco delle Donne, which dates to the 13th century, is a destination in itself. Brozzetti is a multigenerational labor of love that focuses on handmade reproductions of the city’s famous textile designs (like the griffin, the symbol of Perugia), all produced on 18th-and 19th-century wood looms. The current owner, Marta Cucchia, is deeply informed about how to create these patterns, and knows the difficulties of keeping such skills alive in the modern world (weekend visits by appointment). The Studio Moretti Caselli provides the same kind of insight into the production of stained glass, with five generations of glassmakers preserving designs of the past while also creating new patterns. Set up as a museum as well as a shop, the studio beautifully illustrates the country’s thriving artisanal businesses. Lick might be a slightly unfortunate name for a gelato joint but the ice cream here is exemplary, with unusual and delicious flavors like Gorgonzola, honey and walnuts, or fresh strawberry with ginger (cups and cones from two euros, or about $2.40). Across the street from the beautiful church of Sant’Ercolano, Alphaville has continued the city’s love for all things chocolate, but with a new angle: Its signature cupcake is chocolate stuffed with homemade raspberry jam. A decadent Italian version of cheesecake (using mascarpone cheese), fresh-squeezed juices and artisanal teas or an Aperol spritz are also on offer, in a cozy space or at an outdoor table. Stylish locals and well-heeled visitors congregate at Mercato Vianova for aperitivo, when cocktails like a local take on a Bloody Mary, or the currently trendy Moscow Mule, are among the drinks on offer alongside a buffet of cocktail snacks. On warmer night, opt for a streetside sofa for good people-watching. Meanwhile, T-Trane is not only a new funky record store for vinyl lovers, but doubles as a bar that’s open until 1 a.m. Opened by a former wine and food promoter for the region, Jean Paul Sia’s admiration for Umbria’s ingredients is clearly warranted at his new Trattoria del Borgo. Goat cheese from the renowned Diego Calcabrina, for example, and wines like Albaco Orvieto Classico Superiore exemplify the region’s offerings. Don’t miss the handmade strangozzi with pesto made with Umbrian wild herbs. The spot also has an extensive selection of dishes for those who prefer gluten-free. Dinner for two is about 60 euros with wine. A visit to Sandri dal 1860 (dating to 1860) to view its beautiful Art Deco interiors — long marble bar, whimsical frescoes and gilded mirror — is a must. Originally opened by a Swiss family, the institution was recently taken over by a local family who has continued making the cafe’s excellent espresso and the cakes and pastries that look more like art installations. Musìca, in the Torre del Cassero in Porta Sant’Angelo, is a small music museum with original and reproduced instruments and intimate concerts. Walking all the way to the top of the tower is worth the effort, with sweeping views across the city (by appointment). Next door, the church of Sant’Angelo is the city’s oldest and one of the country’s most unusual — built on the ruins of a pagan temple. The altar is at the 5th-century structure’s center, surrounded by 16 columns dating from different periods. It is surprising to find a temple to cool sneakers, skateboards and other sports paraphernalia in the center of a historic town, but university students and those in search of signature Stan Smiths or hard-to-find skateboards will find excellent wares at Smooth Kicks. The Danish brand Flying Tiger Copenhagen has opened nearby with packable presents like poppy lunchboxes and chic-but-cheap sunglasses. Homegrown designers include Brunello Cucinelli, who has turned a medieval hamlet into a museum and store, and Luisa Spagnoli, a brand that suggests Italy’s answer to Chanel — both have outposts right outside the city, with discounts on current collections. For a parkside feast, pick up local salumi, cheese, seasonal vegetables and wine at Umbrò. Then set up your picnic at Via delle Prome, close to the city center, with panoramic views. Lago Trasimeno, the extensive lake that is close to Perugia, is one of Italy’s underrated treasures, with its little islets and waterside towns that have attracted the likes of George Lucas and Colin Firth who have houses here, and the spot where Hannibal famously beat back the Romans in 217 B.C. 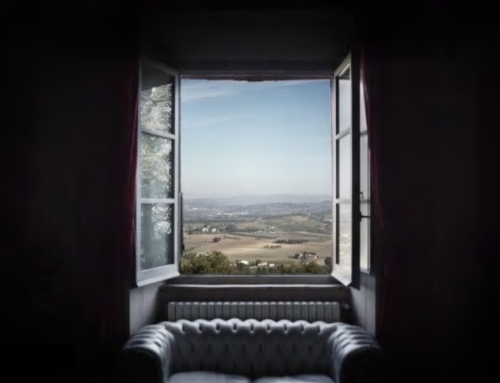 Boat trips around the lake are possible from Passignano (have a delicious seafood lunch first at Trattoria Del Pescatore or a sunset aperitivo at Bar del Sole, or explore villages like Monte del Lago, an exquisite sleepy spot that was a Puccini favorite; he spent time at the grand villa there. Perugia is not known for its seafood — it is a landlocked city, after all — but Crudo, which recently opened is changing that. The owner is an oyster enthusiast and the crustaceans take center stage, as well as the raw fish selections — the salmon is particularly delicious. Located on Via della Viola in an artsy neighborhood, the newly renovated Postmodernissimo theater still feels authentic, and true to its early-20th-century roots. In addition to screenings, exhibitions and talks by young filmmakers, the Art Deco space is lovely for a post dinner drink. Meanwhile, for live music, D.J. sets, and strong cocktails, make tracks to Dot. One of Perugia’s attractions is its proximity to other Umbrian gems. 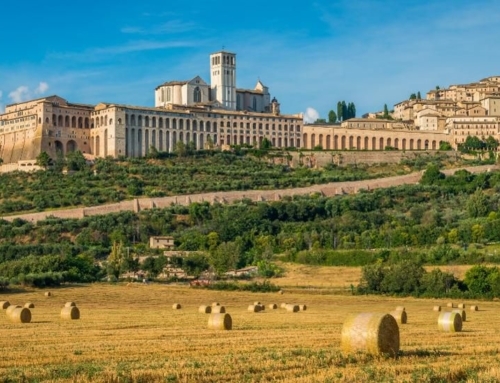 Assisi, with its famous frescos by Giotto and ongoing spiritual importance, is one of the standouts. A few years ago, the Nun Assisi brought a boutique hotel option to the town. Book a spa appointment at the evocative Roman ruins under the 13th-century property, with healing pools at different temperatures and a full menu of treatments for sightseeing-weary muscles. Afterward, relax with a cocktail in the garden, or go for lunch at the restaurant, Eat Out Osteria Gourmet, with its views over town, and innovative dishes like a poached egg with pecorino cream and truffles. Lunch is about 70 euros for two, without wine.